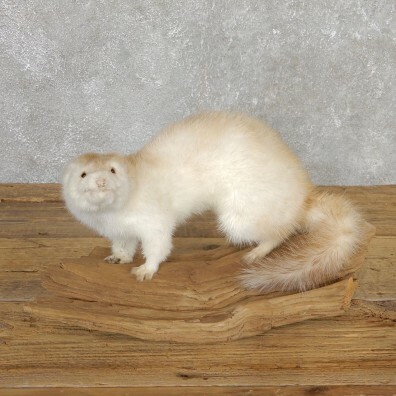 This is a great life-size Mink taxidermy mount, posed in a standing position on a wood slab for display. 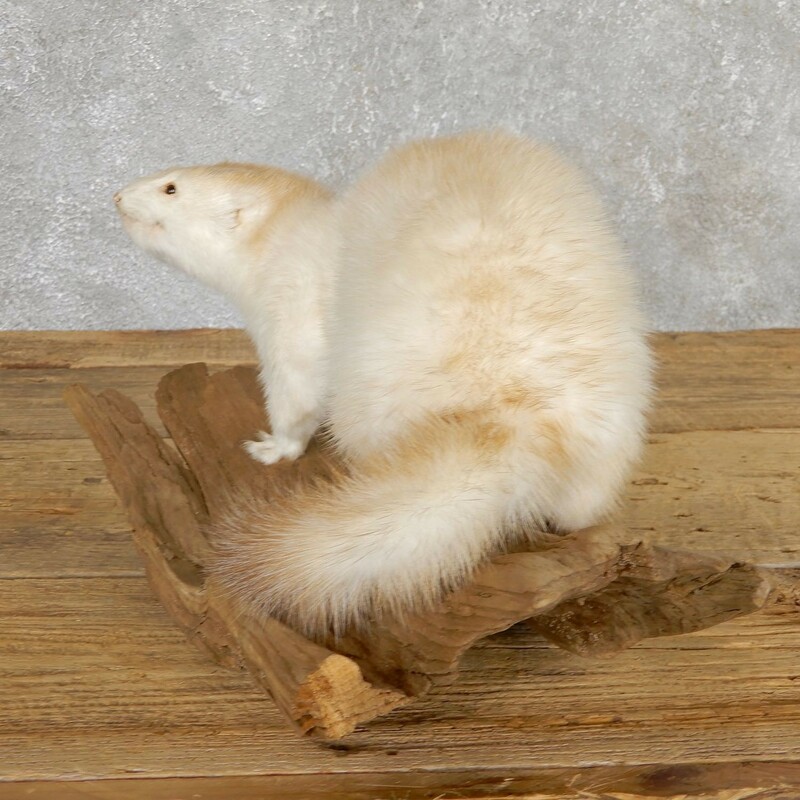 This mink has a unique white colored fur with brown accents which makes it that more appealing. 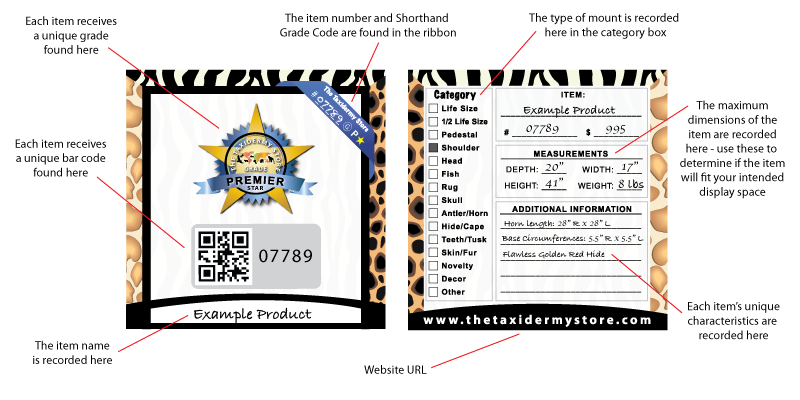 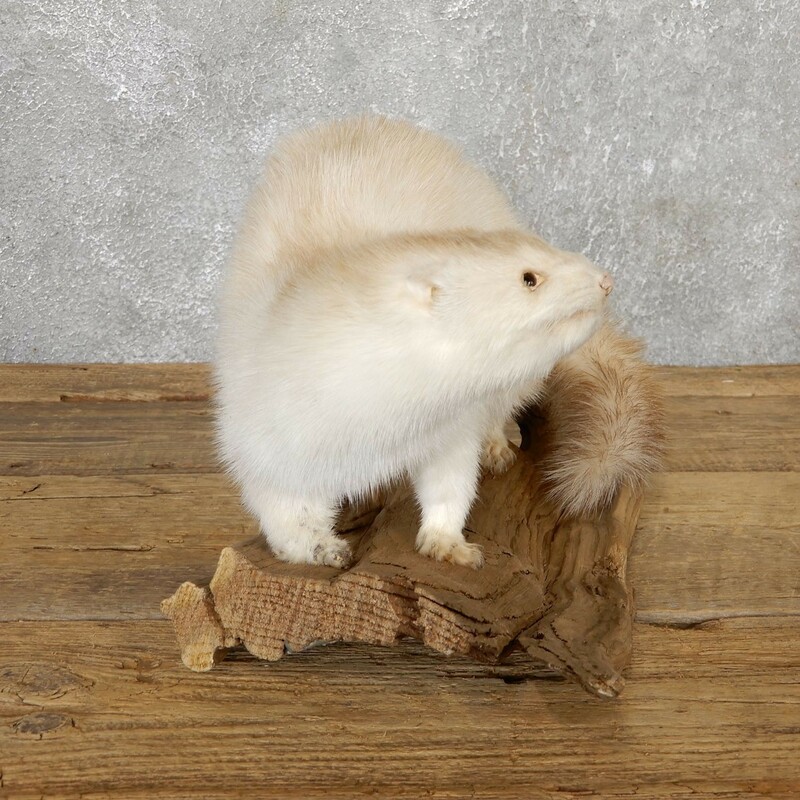 The hide on this mink is also in incredible condition and combined with terrific taxidermy craftsmanship, earns this item our Excellent™ overall quality rating. The American Mink in native to most of North America, stretching from the southern United States up through Canada and into Alaska. 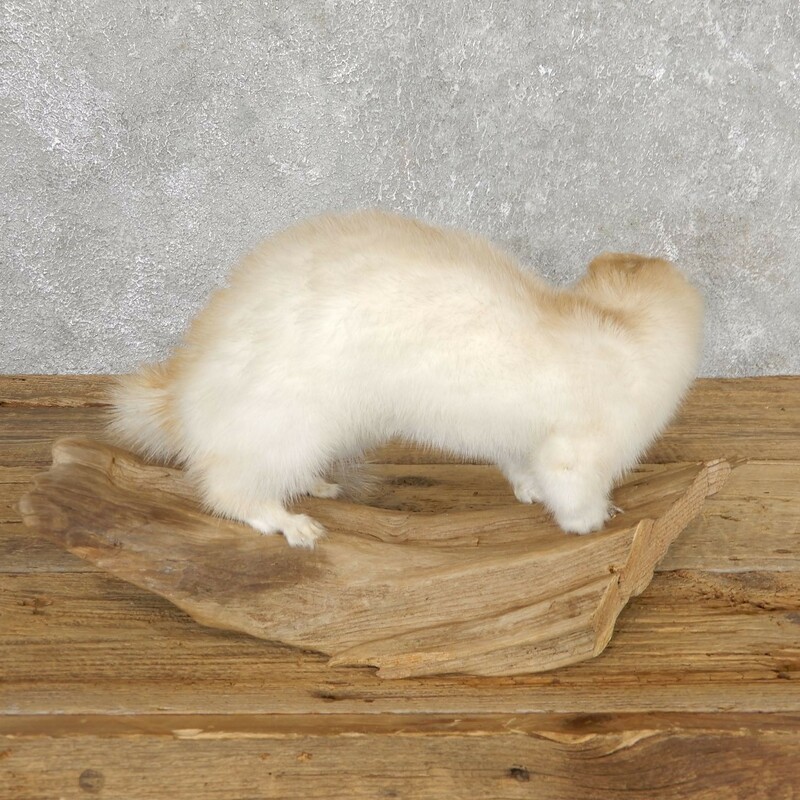 The Mink's food sources primarily consist of fish, with amphibians, rodents and even small birds rounding out their remaining diet. 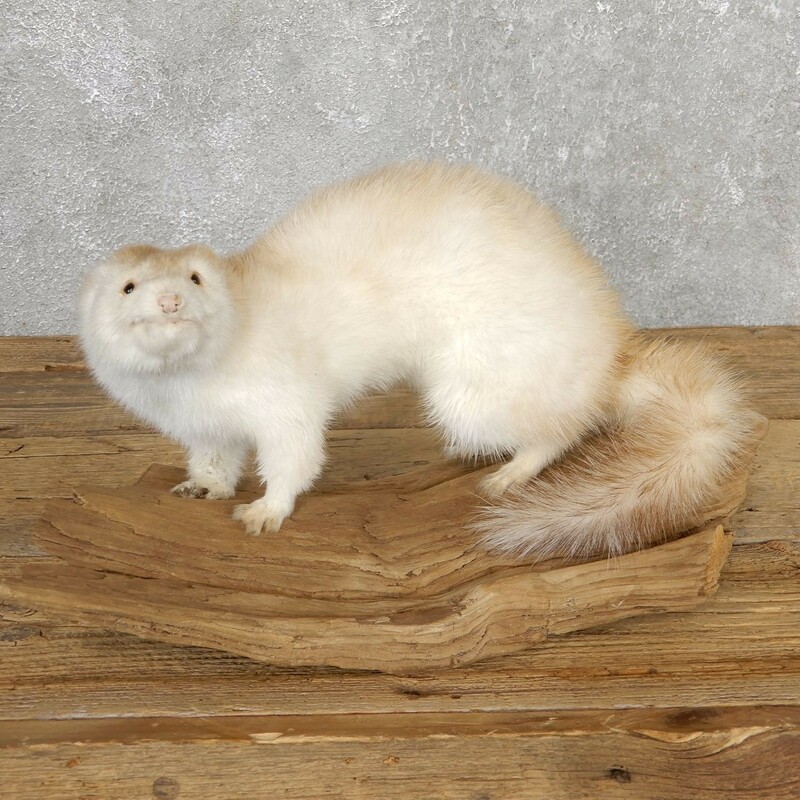 The Mink has a very unique fur, with oily guard hairs that help repel water. 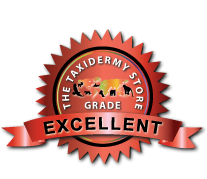 This specialized hair helps the mink swim very well, diving underwater for periods lasting 20-30 seconds in search of fish and frogs.